I have good and bad news, but since I’ve been bearing bad news since yesterday, let me start with the good news. The good news is that NMB enabled international payments have not been totally discontinued… and the rest that follows is the bad news. So, currently the NMB Visa Debit Card allows you to make international transactions i.e $20 max on ATM and $50 max for POS and/or online payments. This current Visa Card works without the need of one to prefund it using USD or any other currency. However, from the 7th of November 2017, this particular card will cease to work for any international transaction. It in fact will be reduced to making local payments just like any other ZimSwitch enabled debit card. If you however wish to continue using an NMB card internationally, you’d need to apply for a new one, a different one to be precise and this one is called the NMB Prefunded Visa Card. The NMB Prefunded Visa Card as the name suggests will only work if prefunded with USD or any other currency (I’m hoping each time I mention the word currency you are not by any means tempted to believe that bond notes are included). The transaction limits are by far higher than those of the previous one but I didn’t put that under good news for a reason because where will we get the USD??? 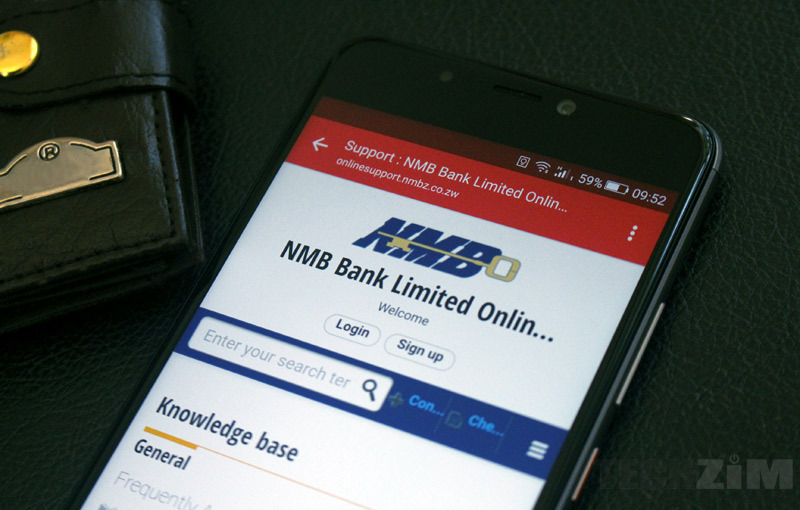 Nonetheless, the maximum limit for cash withdrawals on the NMB Prefunded Visa Card with be $500 per day and $5000 per day for swipe and/or online payments. It will take up to 2 weeks to process your application and thereafter, you can go collect your NMB Prefunded Visa Card. the big question is….. can it be prefunded with bond notes?? when i went into ecobank I didnt even need to pay the 10 dollars to get the card. The process was very quick. What is wrong with these NMB morons, I’m an account holder and I get this information from Techzim, what happened to simple basic customer service of sending an SMS or better yet an email to notify me of this. Now we depend of heresay as a channel of communication from businesses in Zimbabwe, this is really ridiculous. So if you get payments from out of Zim ,will that count as foreign currency? Very good question. If I get funds from outside Zimbabwe then that should be considered as pre funding. However, knowing how our banks operate they will tell it is not. Wait for it within two weeks this could be discontinued again. On the Ecobank thing, you who have experience: can you fund from say worldremit.com and can you send ecocash on to it? Guys in Zim please tell me, when they say prefunded card, do they mean you have to walk into the branch with hard cash US Dollars and deposit it in your visa card account?